I love the YogaFit Essence and the inclusion of YogaFit that it's for everybody and every body! 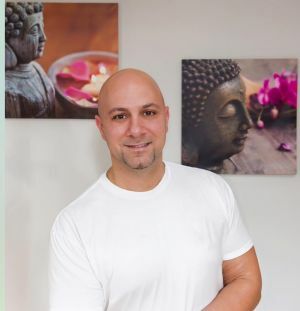 I've always had a passion for Health and Wellness, being a Personal Trainer and Group Fitness Instructor (BootCamp), when I decided to open my first Fitness studio we offered Personal Training, Spinning, Pilates and Yoga. As the owner, I felt I should take part in the full program to obtain a better understanding of the classes. 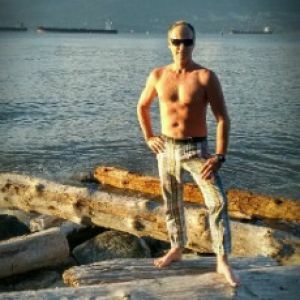 After my first yoga class I was hooked. I loved the feeling of being grounded, physically, emotionally and spiritually from my practice. I discovered YogaFit from my dear friend and mentor: Marlene Campos-Cipriani. I chose YogaFit only with intention of taking Level 1 so that I could begin teaching yoga myself to my clients and maybe teach at some studios. But after Level 1 with Terra Nicolle, I was hooked and am so happy that I continued on this journey. My favourite YogaFit memory has to be all of the MBFs - I love the connection and feeling of family, seeing and re-connecting with fellow yogis that I met along the way as well as meeting new ones and starting a journey with them as well. 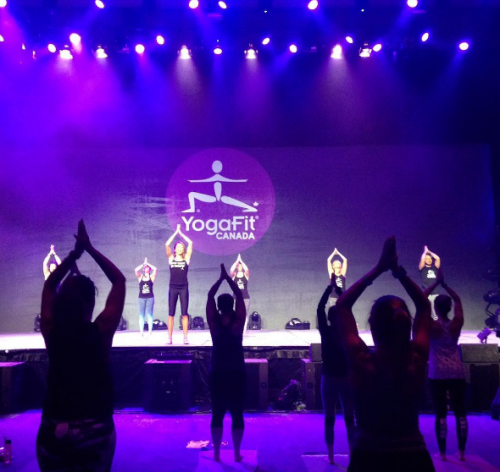 Why was Level 5: Unification your favourite YogaFit training? Level 5 training was my favourite training as I truly opened up emotionally and spiritually and released a lot of the dark clouds that I was holding onto from my past. They were no longer serving me purpose and were weighing me down - but no more! Can you share a little bit about your experience being a YogaFit mentor? My experience being a mentor has been great. I love that I am able to help and encourage someone just starting out on their journey to believe in themselves and build the confidence that they need to teach their own classes. I feel blessed as I was able to look up to some great mentors of my own - Lisa Greenbaum, Marlene Campos-Cipriani and Terra Nicolle - and I am able to take what I have learned from them and pass it forward. I will be completing my 200-RYT at the October MBF and am hoping to join the YogaFit family in India in November 2018, and have also decided to pursue my 300-RYT. I don't think that my journey will ever end as I feel that there is always something to learn and I hope to someday be able to pass on my knowledge of yoga to teach others on their path of becoming yoga teachers. I actually have two favourite go-to cues I like to teach my students which are very similar. 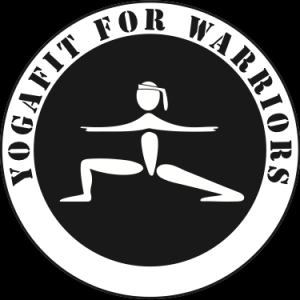 The first one is in Warrior II where my students are standing with their right arm and right leg facing the front of the room. Once in this position, I often advise my class to look over their left fingers and say goodbye to the past and then to gaze over their right fingers saying hello to the future in Warrior II. I find this symbolism is so powerful. The second cue I love to use is during Savasana where I often say "We cannot change the past, and we cannot predict the future all we can do is be in the present....and a present is a gift and that gift is NOW."